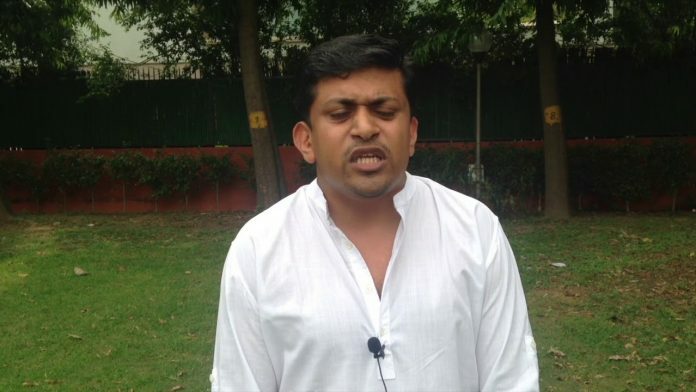 Advocate Aljo K. Joseph, whose Twitter bio says he is part of the Youth Congress, appeared for Michel in a Delhi court, where the CBI had sought his custody. New Delhi: Even as the Congress accused Prime Minister Narendra Modi of being the “protector, benefactor and promoter” of AgustaWestland and demanded a CBI probe into Modi’s role in “exonerating” the company, one of the lawyers who represented Christian Michel in a Delhi court Wednesday is affiliated to the Congress. Advocate Aljo K. Joseph turned up for Michel, a suspected middleman and key accused in the Rs-3,600 crore AgustaWestland VIP chopper deal case, at the Patiala House Court, where the CBI produced him seeking his custody. Michel was extradited to India by the UAE authorities late Tuesday. According to his Twitter bio, Joseph is national in-charge, legal department, Indian Youth Congress (IYC). In the past, Joseph has appeared for Congress leaders on electoral issues in the Supreme Court. ThePrint reached Joseph for a comment but there has been no response so far. This report will be updated when he responds. By the evening, however, the Congress said that it had expelled Joseph from the party. A senior Congress leader said that Joseph’s presence in Michel’s legal team had nothing to do with the party. “There are a number of Congress members who are lawyers and represent people all the time. But they do so in their personal capacity,” the Congress leader said. This, however, is not the first time that Congress-affiliated lawyers have gone against the party rhetoric on an issue, particularly revolving around alleged corruption. Even as Congress president Rahul Gandhi has been criticising PM Modi for favouring industrialist Anil Ambani in the Rafale deal, his party’s senior leader and Rajya Sabha MP Kapil Sibal represented the younger Ambani, in his legal battle with brother Mukesh Ambani related to assets of Reliance Infocomm. The Congress then too maintained that Sibal was doing this in his personal capacity. who is accused of receiving kickbacks from the Anglo-Italian helicopter manufacturer to sway the 12-helicopter deal in its favour during the UPA era, had been under detention in Dubai. He was brought to Delhi in a private jet and then taken into custody by the CBI. While the Congress insists that it blacklisted the chopper firm, in an election year, the extradition could help the government counter the Congress-led attacks on the Rafale deal. The BJP is likely to go all out to target former Congress president Sonia Gandhi and her former political secretary and current Congress treasurer Ahmed Patel.